During the boom markets of the late '90s, I grew used to seeing commercials or stories about traders in remote or strange places, but this spot bothered me. It wasn't that the investor had begun trading or that he had become successful. What angered me was his advertised trading "strategy." He claimed that the Forex market was easy. He could wake up, place his trade, and come back later in the day to collect his gains. In between, he had time to do his chores around the farm. If there is one thing this market is not, it's easy. Every Forex trader must share a worldwide market with central banks, international financial institutions, portfolio managers, and other traders. Moreover, the market's volatility makes trading a time-consuming and often exhausting experience. I have sat for 48 hours straight, watching a position dance 15 pips above my emergency sell price. Forex is a hard market to trade—physically as well as mentally. A trader cannot simply enter a trade and then go about his or her day. I cannot stress this enough. The market does not have defined trade periods, so moves can occur anytime within a 24-hour period. This constant stress can break down a trader in a short period of time, whether he or she is winning or losing. With this in mind, every investor, no matter where he wants to put his money, must first ask himself some hard questions. Do I understand the investment fully? Am I aware of the degree of risk? How does it fit in with my portfolio and my investment objectives? Am I prepared to invest the necessary time and energy required to make sound decisions about my investments? Each question is important and requires an honest answer. If you can't answer these questions, you'll have better luck going to Las Vegas and playing the slot machines or investing in a less-stressful asset class, such as fixed income. If you can't answer these questions honestly, you also will lose money. Take a cold, hard look at yourself. There is no shame in not being able to watch your investments lose value—it's a natural instinct. But successful investors know that losing money is inevitable and that keeping investing discipline is essential to achieving success. The key is to understand your tendencies. Does the idea of losing money keep you up at night? Can you absorb financial news without becoming emotional? Do you make investment decisions quickly based on the latest trend or tip? Again, there is nothing wrong with answering yes to these questions, but you may be more comfortable with investments that are more conservative than those on the foreign exchange market. However, even if you stay calm and focused with your investments, making money in Forex also requires active study and consistent attention to markets around the world. This means educating yourself about the Forex markets (reading this book is a good start) and checking various news outlets to keep up with changes. 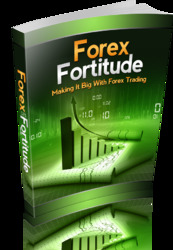 Once you have thought about these questions, you should consider whether Forex trading suits your investment goals. As I've said before, Forex is an incredibly dynamic market with enormous opportunities, but it can also lead to quick losses over the short term. It should be considered a high-risk investment only suitable for those investors who can also absorb the losses that can build up as the market jumps or plunges. It is not a place to stash a retirement account or a nest egg for a home. Personally, I recommend that a beginning investor put no more than 2 percent of his or her total assets in Forex. If you are more experienced and have had some track record of success, I would be comfortable increasing that number to 5 percent. I developed this number by looking at the benefit of having a noncorrelated commodity in every portfolio. • You don't have a plan—If you can't explain why you are making a trade and what you will do if it either succeeds or doesn't, you don't have a plan. Trading "on the fly" or by instinct leads to losses. Hope is not a plan. The second half of this tip is to be disciplined with your plan. Once you've picked a strategy, stick with it. Don't improvise, or you won't learn from your mistakes. • You trade against the market—Many investors think they know something the markets don't. When an investment slides, they hang in there. When it falls further, they simply buy more, convinced that the market will rebound and they will reclaim their losses. This can happen, but not often enough to form the basis of a strategy. Catching a reversal is a very difficult strategy. Don't become so attached to your position that you lose sense of objective market forces. When a position turns sour, cut your losses. 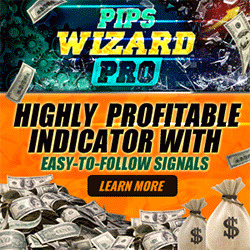 The other half of this tip is don't sell a profitable position until it hits your target. If you have thought through your plan, you will end up with far more profits than losses. What Are My Investment Goals, and Are They Realistic? I often think Forex today resembles California more than 150 years ago during the gold rush. There are expectations of enormous returns, and marketers are happy to encourage this. As during the gold rush, enormous profits have been made in the Forex market. And it's easy to see how more can be made. Without doing any real research and simply by looking at any currency chart, a trader can see that being on the right side of a move, while heavily leveraged, can make a small bet pay off well. There is no denying those charts, and we all have heard the stories of speculators, such as George Soros, raking in $3 billion in three days of trading. As with any market, somewhere between the myths and facts lies the truth. Forex is no different. There is a lot of money to be made, but the risks are real. Investors must understand this before developing a trading strategy. Forex, even with its wild volatility, is still tied to the general rules of returns. Just because Forex is the largest market in the world doesn't mean we should suspend reality. "Risk versus reward" is still relevant. You can't put down $20,000, leverage it 100 to 1, and expect to retire on your returns. Always remember that great money managers look for 15- to 20-percent returns over the long term. Most sweat just to beat the major indexes. What Is My Capacity for Risk? The Forex market reflects the global environment. Just by turning on CNN you can see how unpredictable things really are. In autumn 2004, two unrelated factors pulled the U.S. dollar lower— hurricanes in Florida and a strike on the oil pipelines in Nigeria. The price of oil soared above $53 a barrel. No analyst can forecast what are essentially random events. In comparison, share prices of blue-chip stocks with constant, predictable cash flow, such as McDonalds and Coca-Cola, hardly fluctuate on a daily basis. They can show dramatic movements over time, and they can spike after announcements, earnings reports, or analyst meetings. Compared to Forex, however, they are stable. For example, a recent memo by a major Forex firm effectively said that recent market conditions had caused "temporary illiquidity." Consequently, the Forex market could drop or gain 100 to 200 pips in a matter of minutes. In response, they couldn't guarantee execution for stop-loss, limit, and entry orders. If you had a stop-loss order at 122.00 EUR/USD and something unexpected happened that caused the U.S. dollar to suddenly and violently strengthen, the market might skip your order and execute at the next available price—maybe 121. As with any margin account, the investor is responsible for all losses. This introduces a whole new level of risk to the average investor, because set risk levels protected by stop-loss orders can be nullified in extreme cases. And since a currency can't be worth zero, there is no bottom.